The call came from my sister-in-law, Phyllis, as she was clearing her mother’s house. My mother-in-law’s recipe files became my inheritance and treasure. The contents surprised me. As I read I realized that they were a history of family life as well as a sociological study of the 1940s. Many recipes contained nutritional information from the family doctor, a General Practitioner who cared for every member of the family. His instructions, which my mother-in-law dutifully noted on her recipe cards, were another surprise: clearly, nutrition was not commonly known or understood in the early 40s. Since the United States was involved in World War 2, rationing was the law. The signs of the Great Depression were still being felt. 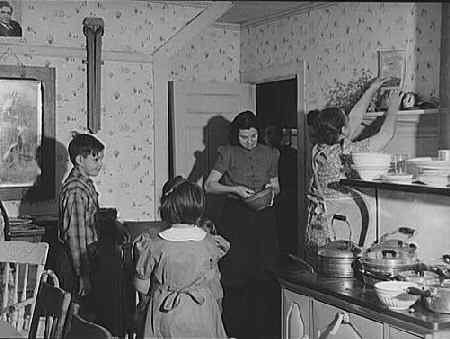 Meals were determined by what families could afford and what was available, not by what foods were healthy to eat. Do you remember canned spinach? Can you think of it without grimacing? No wonder children grew up thinking they didn’t like vegetables. As I started reading the recipes I couldn’t help noticing the imprecision of measurements, techniques and directions. “A glass of sugar.” What does that mean? An orange juice sized glass or a tumbler size? “Some salt.” How much salt is “some?” Can someone define it, please? “A handful of flour.” Whose hand: my daughter’s small hand or her grandfather’s large one?” “The juice of a lemon.” A small supermarket lemon or a gourmet market’s large one? A sliver, a slab, a shred, a dab. “Stir until the right consistency is reached.” What is the right consistency? Soupy, chunky, mushy? 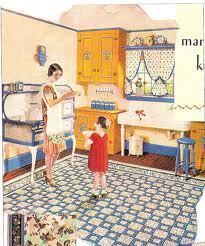 No wonder recipes tasted so differently from home to another. Each cook’s interpretation of amounts and techniques was subjective. A large quantity to one cook is barely a taste to another. What’s a “gob” of tomato sauce? How do you measure a gob? What’s a “heaping” tablespoon? Recipes were only a suggestion of what ingredients to add to a dish, not a clear description of how much to add. “But it didn’t taste this way when SHE made it” became the wail in kitchens across the country. At least in a kitchen in Passaic, New Jersey. That is how a whole new industry was born. Manufacturing of measuring spoons and measuring cups developed. Cook books were published. I remember feeling insulted when given a cook book as a wedding present. Do they think I don’t know how to cook? I watched my mother, who had watched her mother. What would I want with a recipe book? The food channel was a couple of generations away. There were no MacDonalds’, Burger Kings or any other fast food restaurants. Very few frozen foods were available. I never realized that an activity as innocent and simple as reading old recipe files would unleash such a far-reaching understanding of the development of a new life style, a new industry and the building of new forms of cooking. The expression, “What’s for dinner” takes on a whole new meaning.